Don't post on /board very often, but misheard this lyric and had to do something about it. Calm down, Lionel, mate! What's your beef with me, eh? B3ta can be a harsh mistress. 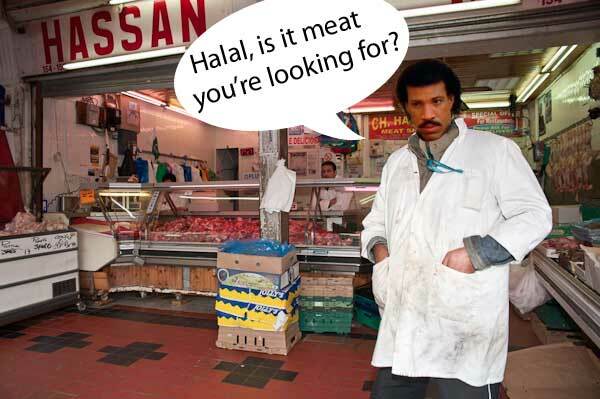 Halal, is it meat you’re looking for? Not my video - sounds a bit shoddy. Song starts about 1:30 in. The post at the bottom of that thread is fantastic. and thanks for finding the original. I literally laughed out loud. good job, sir.